Looking to add a little extra probiotic love to your life in a delicious way? Get them in you with homemade sauerkraut– it’s quite simple and deeeeelicious! But First: Why Eat Fermented Foods? 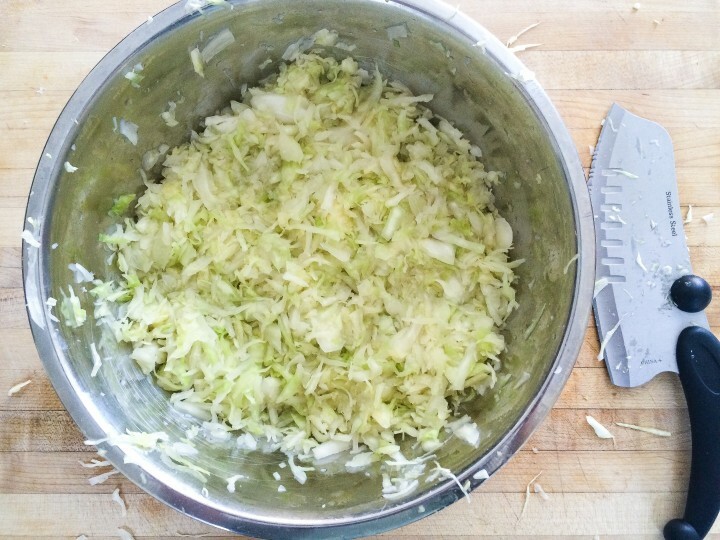 Traditional sauerkraut, like the recipe below, relies on the lactofermentation process in which natural bacteria feed on the sugar and starch in the food creating lactic acid. 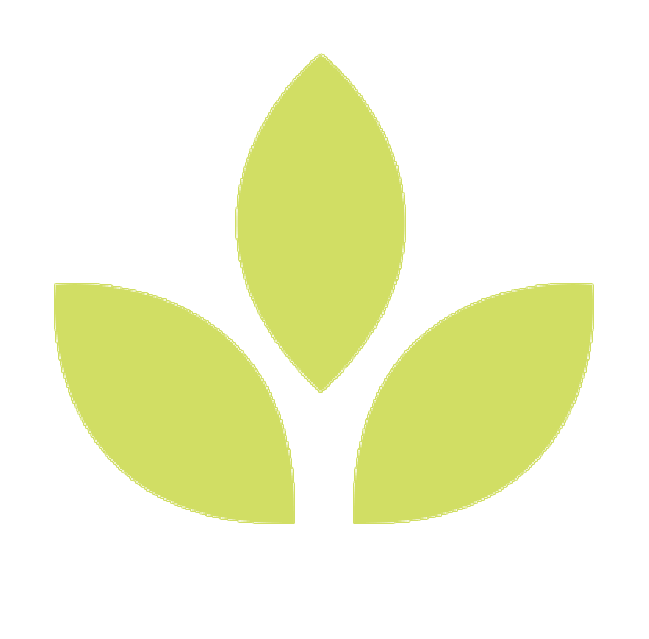 This process preserves the food, and creates beneficial enzymes, b-vitamins, Omega-3 fatty acids, and various strains of probiotics. Natural fermentation of foods in this way also helps to break the food down to a more digestible form. This, along with the bevy of probiotics created during the fermentation process, could explain the link between consumption of fermented foods and improved digestion. Enjoy this sauerkraut with eggs, organic sausage, in salads, or straight outta the jar! Remove core (the hard part in the centre) and finely chop 1/2 of cabbage. 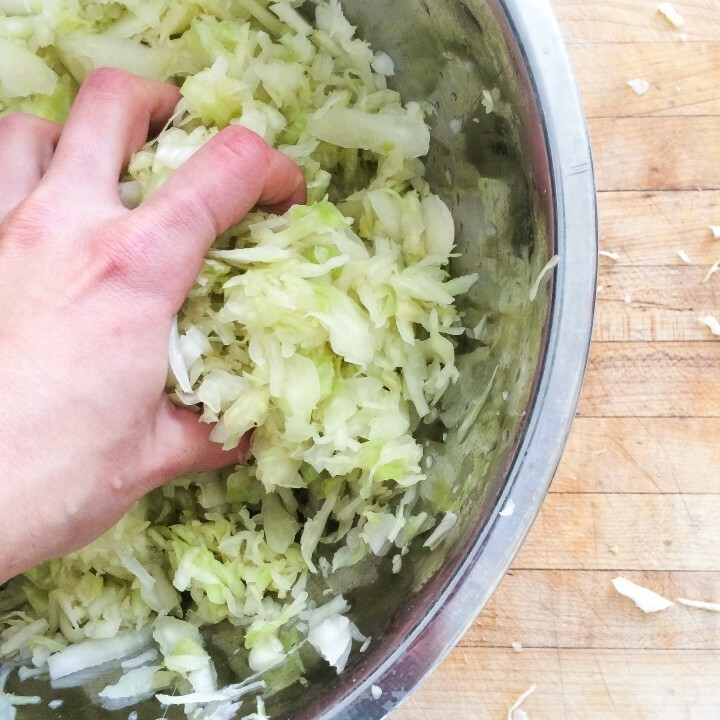 Place chopped/shredded cabbage in a large mixing bowl. The finer you chop it the easier step 3 is. Once half of your cabbage is in the bowl, add about 1/2 a Tbsp of salt to the chopped cabbage. Now is the fun part-- (wash your hands well) and massage the crap out of the chopped cabbage. Spend a couple minutes doing this in a crushing/kneading motion, until the cabbage has softened significantly and has released a good amount of juice into the bottom of the bowl. Put this cabbage into another bowl and set aside. Repeat steps 1-3 with the other half ofthe cabbage (I like to do 1/2 at at time because it's easier on the hands; you can do the whole thing at once if you are confident in your hand strength). 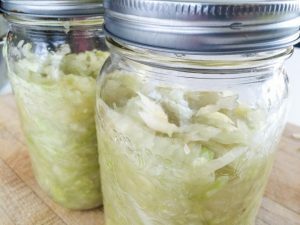 Once the entire cabbage has been finely chopped and massaged well with salt, it's time to put the cabbage in jars. 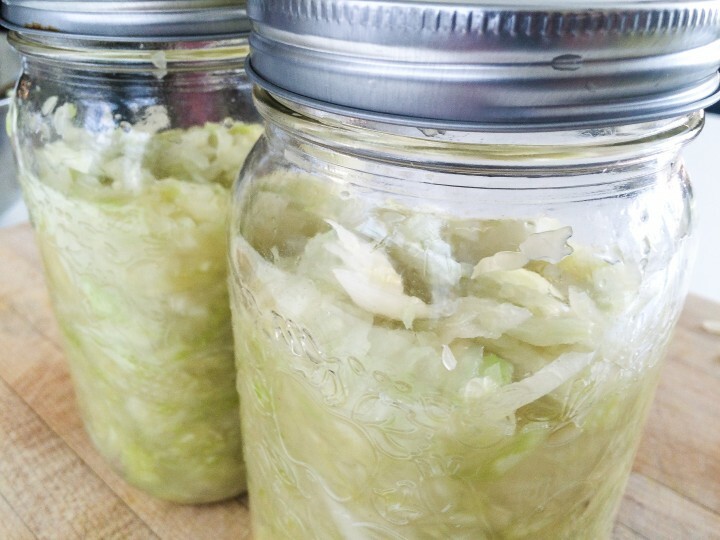 Take your two large mason jars and pack the cabbage in very tightly with a spoon. You want all the cabbage to be immersed in its own liquid eventually. Lightly screw on the lids, and place in a location out of direct sunlight. Leave it for 1-2 weeks, or until it tastes just how you want it. You can taste test as much as you want along the way, and you can let it ferment for even longer if you want-- the beauty of it is that it won't go bad! Once it has reached your desired taste/texture, refrigerate it to discontinue the fermentation process and enjoy. You always want the cabbage to be submerged in its liquid, so keep an eye on it. You may have to press the cabbage down a couple more times. If after 24 hours, the liquid has not risen above the cabbage, dissolve 1 teaspoon of salt in 1 cup of water and add just enough to submerge the cabbage.